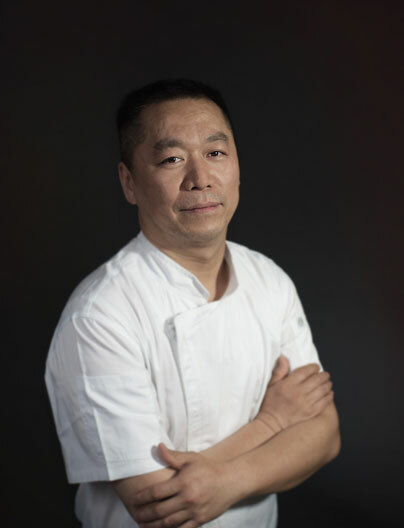 Working previously as the executive chef at the Consulate of China, and cooking for many celebrities such as Chinese ex-presidents Deng Xiaoping and Wu Jintao, Chef Cory form Benu, and Alice Waters from Chez Panisse, Chef Han cultivated the skills he needed to make his dream a reality amidst the turbulent economy. He worked day and night, 24/7, to make his way to the top and provide for his family. After interviews with The Wall Street Journal, CNN, The Discovery Channel, Eater SF, and other local and national publications, Z & Y became the precedent for Sichuan dining in San Francisco. Today, there are more than 10 Sichuan restaurants in Chinatown following Chef Han’s lead. Yet, the Z & Y brand remains #1 as Chef Han continually evolves and expands his culinary endeavors. In 2015, he popularized traditional peking duck and Beijing dim sum with the opening of his second restaurant, Chili House in the Richmond District. And, in 2017, he introduced the famous Kung Fu tea and face changing performance to the states! Come August 2018, Chef Han sought to bring a modern twist to traditional Sichuan cuisine with the opening of Z & Y’s sister restaurant, Z & Y Bistro. With a vision to see Chinatown revitalized, he wanted to do his part by introducing a contemporary menu and venue alike. He’s exrtremely grateful for all those who’ve followed Z & Y’s journey, and can’t wait to share all that is to come through Z & Y Bistro!